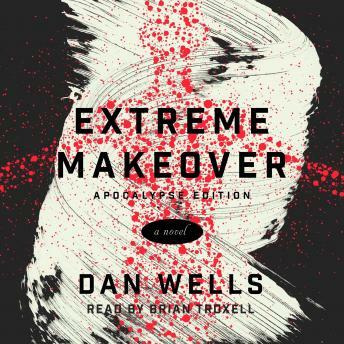 Dan Wells' Extreme Makeover is a satirical new suspense about a health and beauty company that accidentally develops a hand lotion that can overwrite your DNA. Lyle Fontanelle is the chief scientist for NewYew, a health and beauty company experimenting with a new, anti-aging hand lotion. As more and more anomalies crop up in testing, Lyle realizes that the lotion's formula has somehow gone horribly wrong. It is actively overwriting the DNA of anyone who uses it, turning them into physical clones of someone else. Lyle wants to destroy the formula, but NewYew thinks it might be the greatest beauty product ever designed--and the world's governments think it's the greatest weapon.